Sometimes spam emails get through filtering software and end up in your inbox. If spam continues you could block unwanted emails using cPanel. Once you have successfully logged in your cPanel account, click on Apache SpamAssassin in Email section. Click on Configure Apache SpamAssassin. 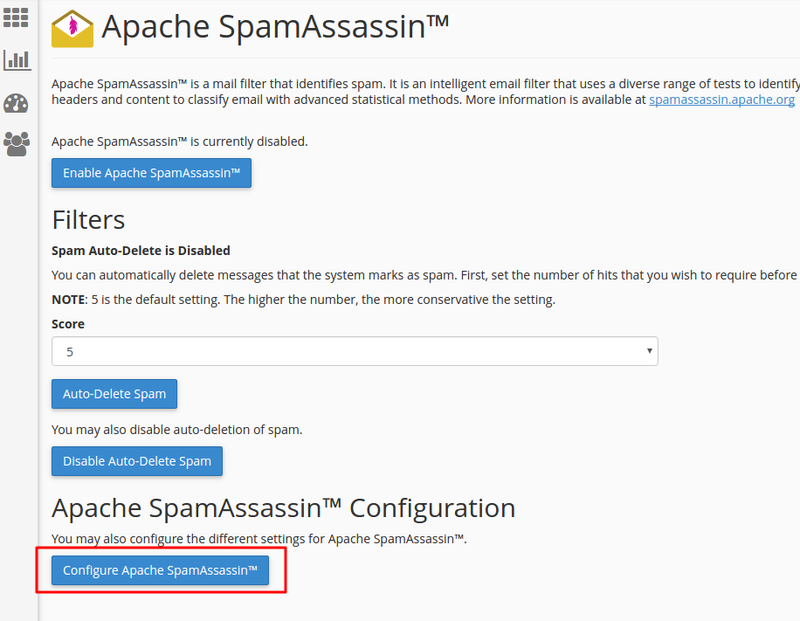 Once you are in Apache SpamAssassin configuration page you will notice multiple ways how to block spam emails. You can block specific email address, for example, email@exampleA.com . This way all emails sent from email@exampleA.com would be blocked bu emails sent from anotherEmail@exampleA.com would still reach your inbox. You can also use a pattern to block all emails coming from a specific domain name. In this example all email addresses that ends in @exampleB.com would be blocked including email@exampleB.com and anotherEmail@exampleB.com . 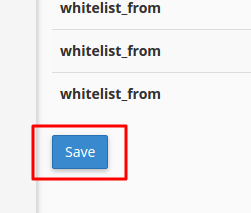 When you have blocked all unwanted addresses click Save at the bottom of the page to save your changes. If entered addresses were correctly formatted you will receive a confirmation that changes have been saved. From now on all emails that are coming from email addresses that are in the blacklist will be blocked. If you are getting spammed from various of different email accounts and different domain names you can also decrease the required_score field value. This way mail filtering would be more strict. However, note that with stricter rules you risk of missing valid emails as well which could be incorrectly identified as spam so the safest bet would be to keep score value at default 5. You have just learned how to block unwanted emails from reaching your inbox using few simple steps.